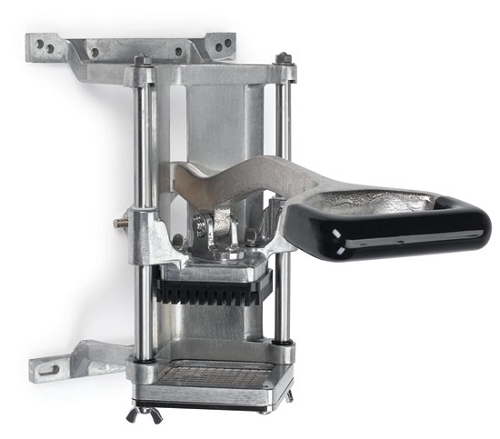 Easy FryKutter uses an exclusive short throw handle and superior engineering to improve leverage for smooth, easy cutting or wedging in just one stroke. Works with natural body motion to eliminate awkward stretching and reduce operator fatigue. Built to last under the toughest day-to-day conditions. Slide-in, slide-out wall bracket fits the same mounting holes as most other machines.